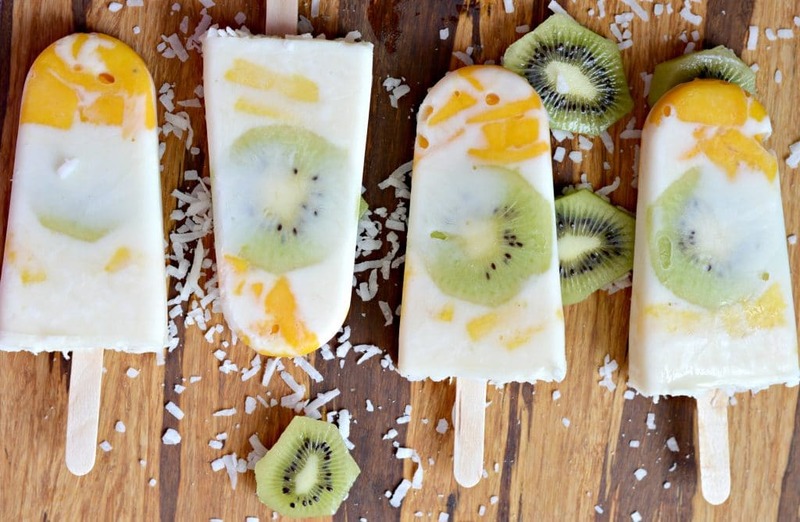 This Tropical Frozen Yogurt Bars Recipe is perfect for these hot summer days when you need to cool off. Also, check out this sweepstakes for a chance to win a $2,000.00 Sprouts gift card, but make sure to enter by April 20th! Since coming to the United States, I have tried to incorporate as much fresh fruit into my family’s diet as possible. My husband is a big fan of ice cream, but as you all know, ice cream isn’t always the healthiest dessert option. That is why I decided to replicate some of the fresh ice cream bars from when I was a little girl – but with the difference being that these are made with Mountain High Original Plain Style Yogurt that I was able to buy at Sprouts last week. Just because these are made with yogurt instead of ice cream doesn’t mean that they aren’t delicious. In fact, I would say that they are even more delicious for that reason! 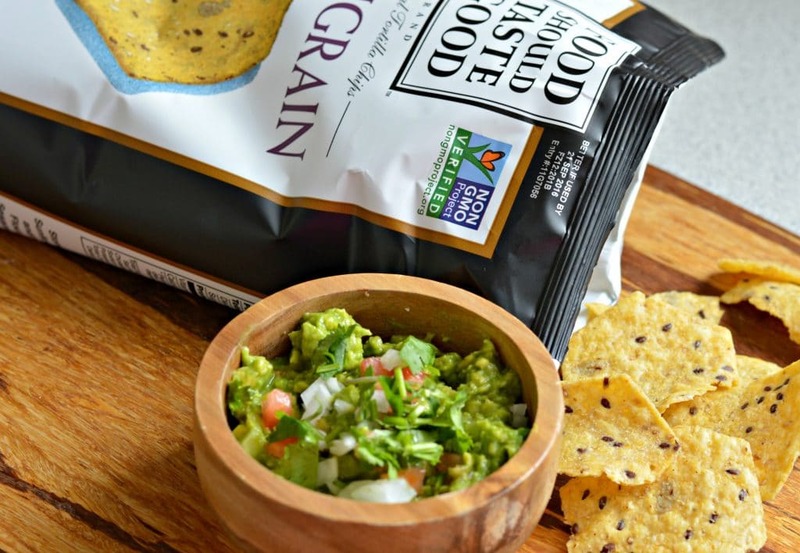 Also, in the spirit of eating better, I took advantage of the current better for you brand sale to buy some of these tasty Food Should Taste Good Multigrain Tortilla chips to go along with this delicious guacamole. 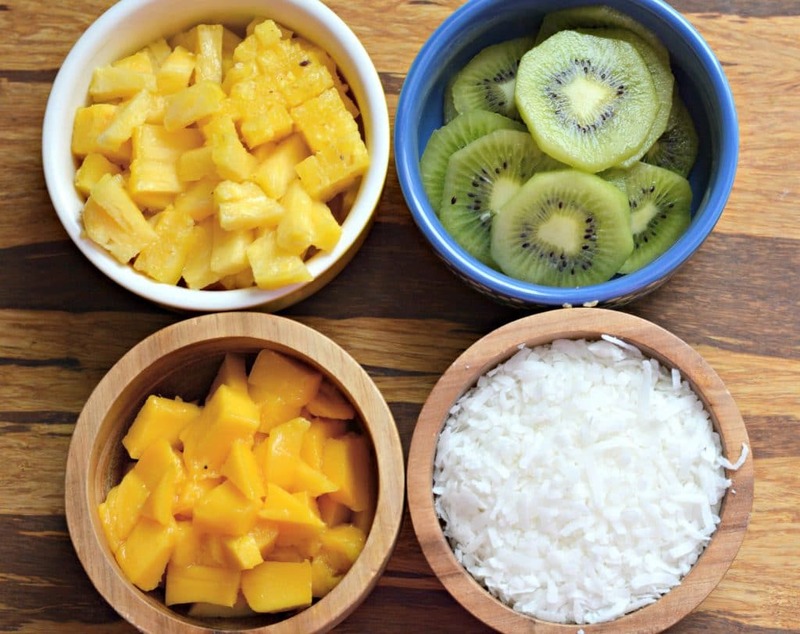 You can add whatever kind of fruit that you want, but for me I wanted to use some of the fruits that I loved eating when I was growing up – that is why I used pineapple, mango, and kiwi. 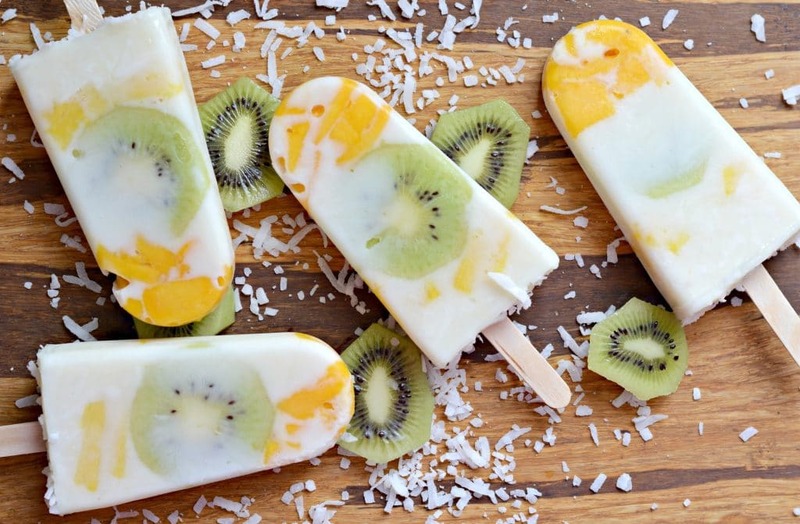 These three fruits all have a somewhat tropical theme, which is why this recipe is called tropical frozen yogurt bars. I think that these would be delicious with strawberries or any other berries as well, so please use your imagination and let me know how they turn out for you! Whatever fruit you decided to use, you can definitely find them at Sprouts – and now through April 20th, Sprouts will be hosting a Get and Give Back sweepstakes in which five lucky winners will be selected to receive a $2,000 Sprouts gift card and nominate a local food bank in their community to receive a $2,000 monetary donation. 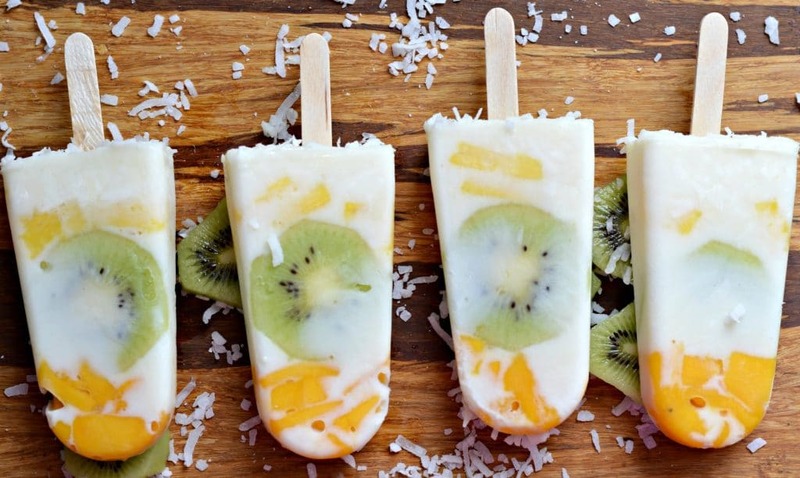 To make these you will also need a popsicle mold and some popsicle sticks. It took me awhile to find the popsicle mold in my local stores, but you can find lots of great options online too if you want to avoid that search. Making these definitely reminded me of my childhood, and my little boys absolutely loved them. 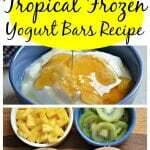 I hope that you are able to build great memories with your family too as you make these tropical frozen yogurt bars together. 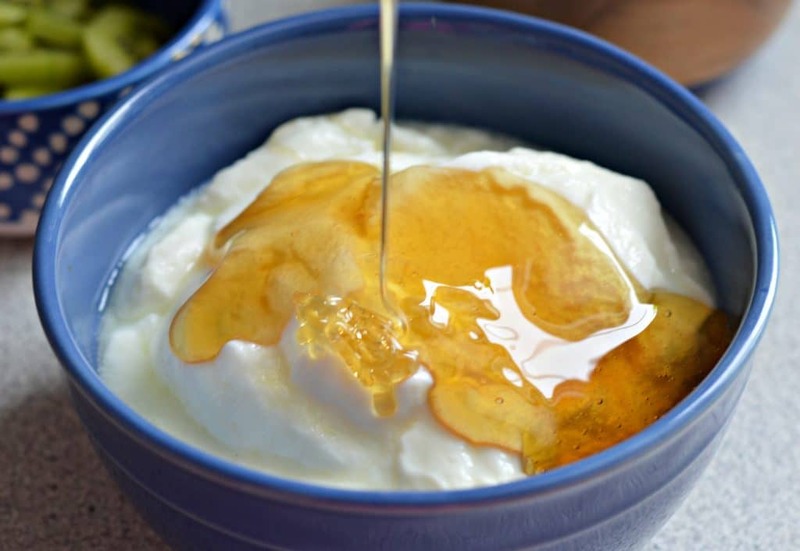 Mix the yogurt and the honey in a large bowl until well combined. 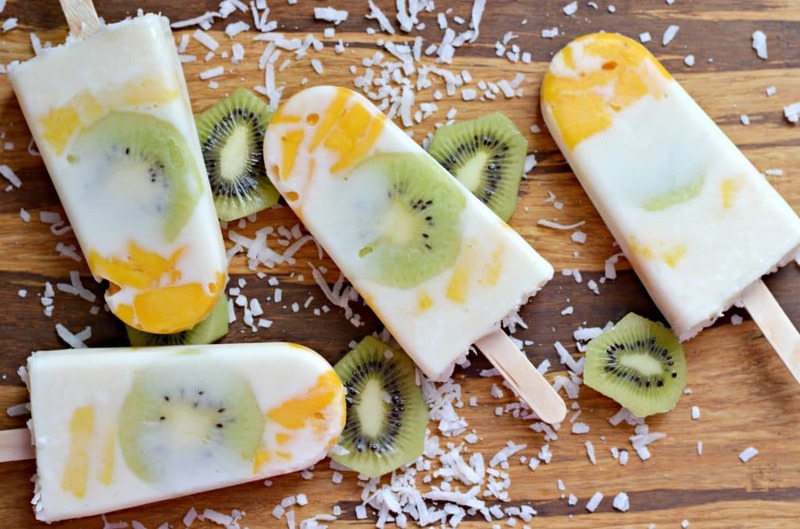 Add a few pieces of fruit to the popsicle mold, then add a layer of yogurt and continue until you the entire mold is filled, ending with the layer of yogurt. Add a little bit of coconut at the end as well. Freeze for at least 3-4 hours or until completely frozen. 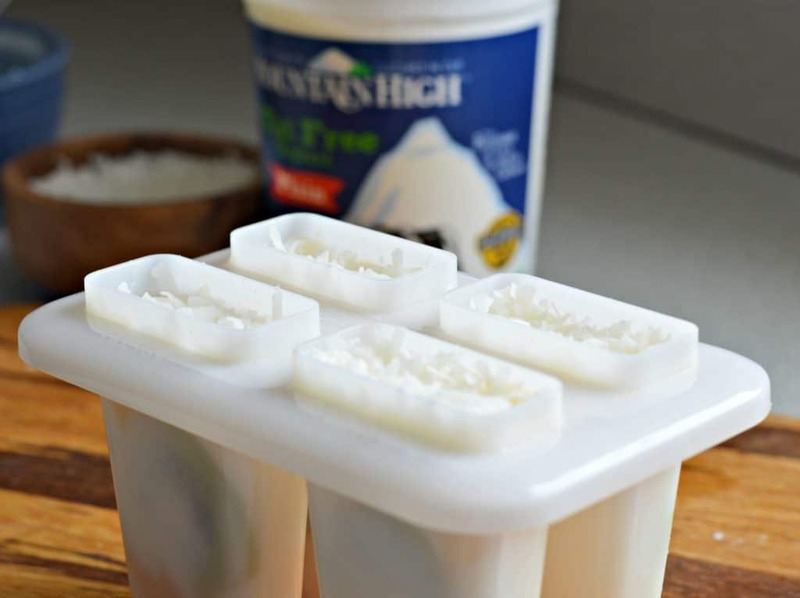 To remove, place the plastic portion of the popsicle mold in a bowl with warm water until you are able to remove by pulling gently on the stick. These look delicious & I love that they are free of sugar! 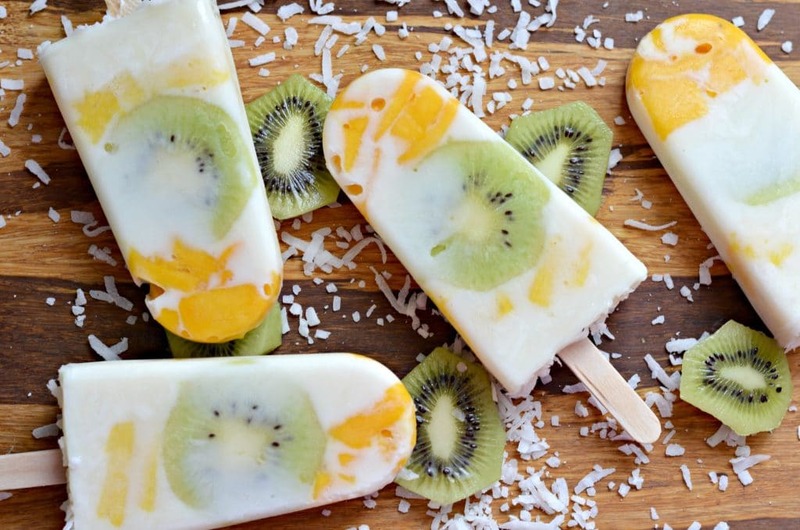 These look refreshing and delicious! I bet my kids would love them. 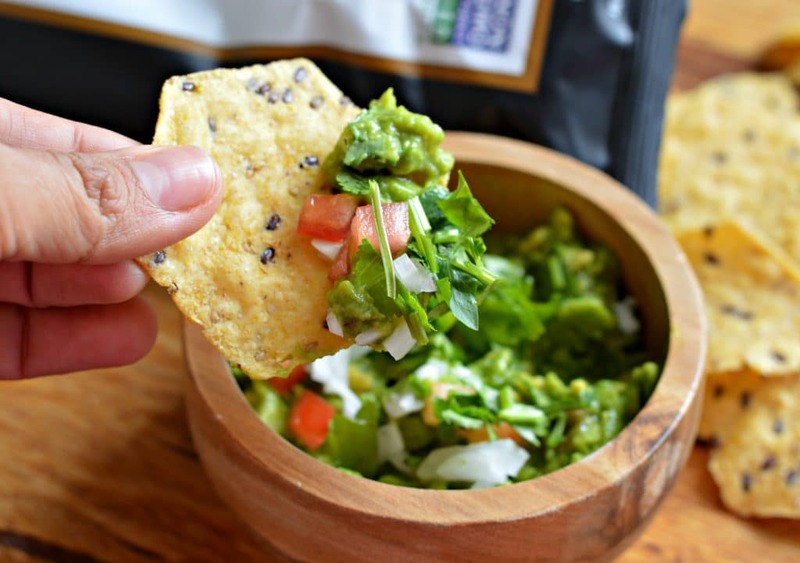 Pinning this for later, as I am looking for some healthier snack options for the warmer Summer months! My girls would totally love these, and me too! I know that my husband, my boys, and I all do – so I hope your family loves them too!